Fossils give us a unique insight into what the world was like way before we ever existed. 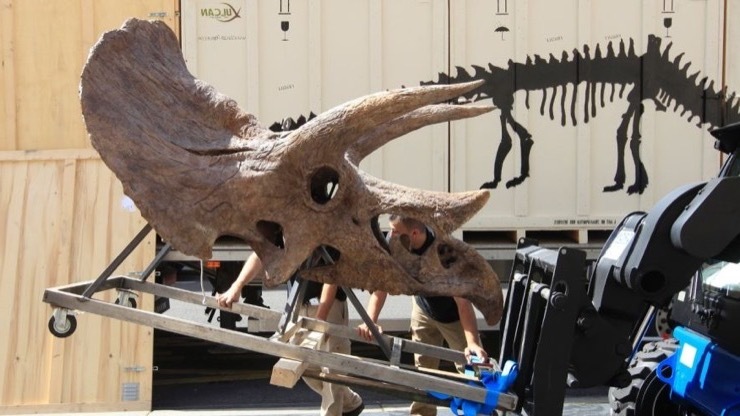 While movies can paint a picture of what the world was like back when dinosaurs roamed the earth, actual bones provide us a glimpse of the real thing. 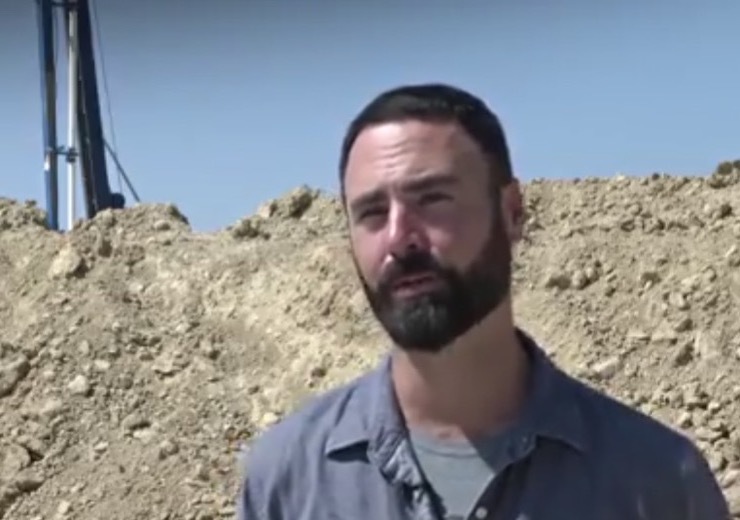 On August 25, 2017, a construction worker from Saunders Construction was scooping dirt, when an on-site geotechnical engineer (someone who reviews soil conditions) told him to stop. 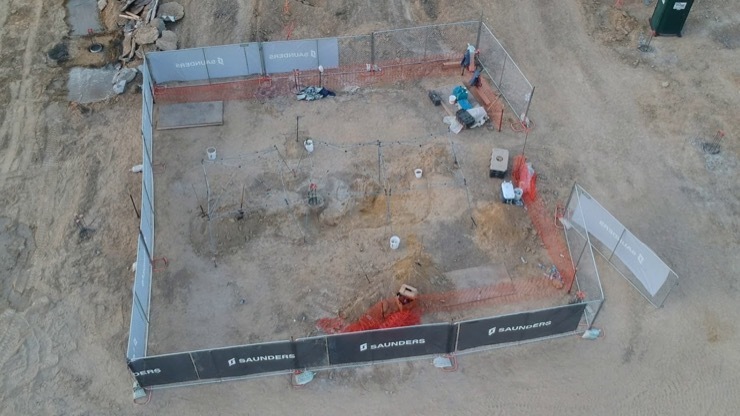 The engineer had noticed that there was something inconsistent with the surrounding sand and claystone. 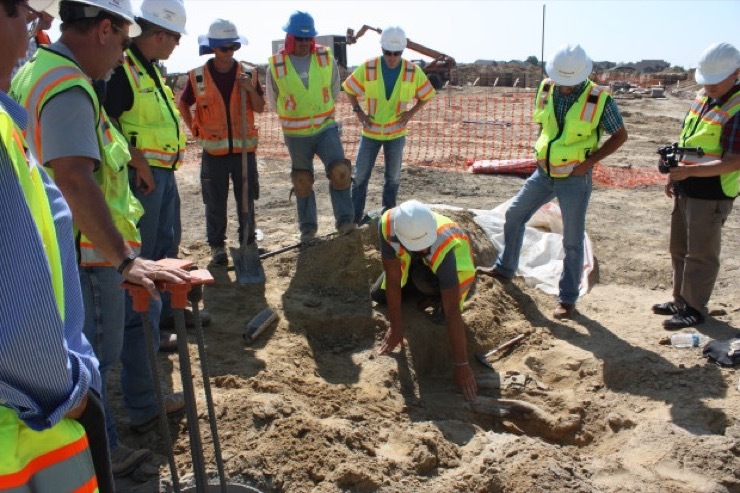 Saunders Construction, Denver’s premier construction company, was working at a site on 132nd Avenue and Quebec Street that day. 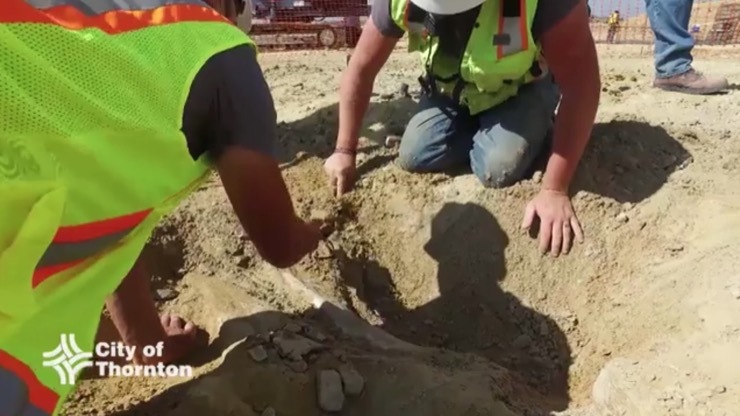 Aaron Pollick, the company’s project manager was not on site at the time but he got a call about crews stumbling upon what looked like a dinosaur fossil. 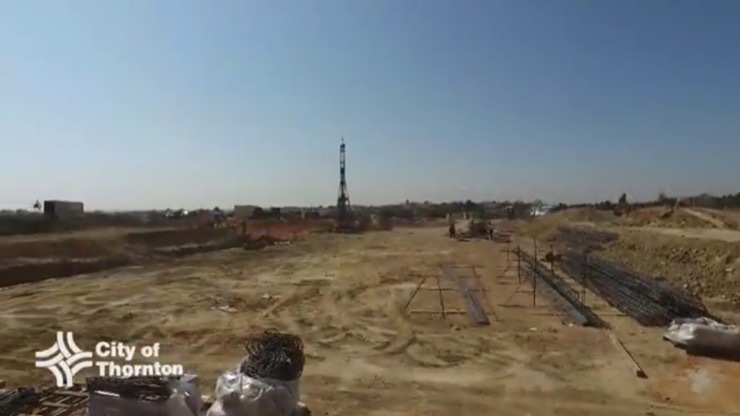 The crews decided to quarantine the area, which will eventually be a weight room at the upcoming Fire and Police Substation, and they made sure construction equipment stayed clear. 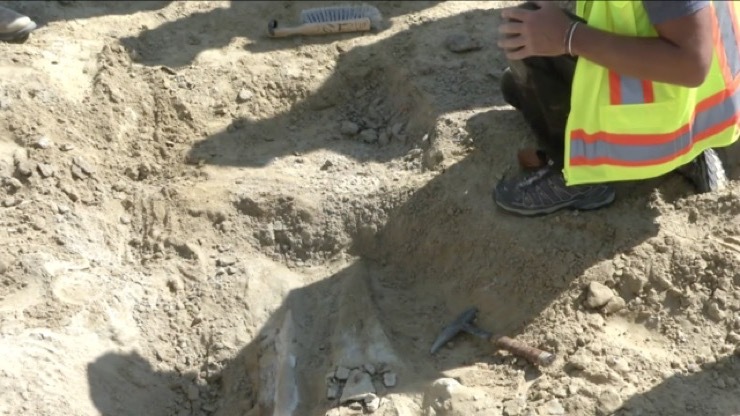 A biologist contracted by the city of Thornton recommended a local paleontologist, who stopped by to confirm that what they were looking at was dinosaur bones. Volunteers from Sanders Construction, museum personnel, and Thornton police and firefighters all pitched in to help. Pollick was among them, saying, “What are the chances that you ever have this opportunity?” “There’s a lot of excitement that you get to go do it, play around and be a kid,” he added. 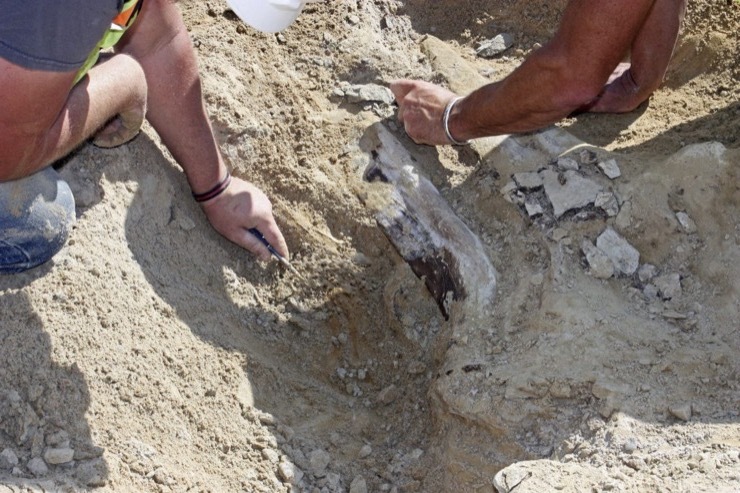 Day by day, they uncovered yet another piece of the triceratops, although, the legs and arms still remain missing. Sertich hopes they are still around, especially since this is one of the most complete Cretaceous-period fossils found on the Front Rage. 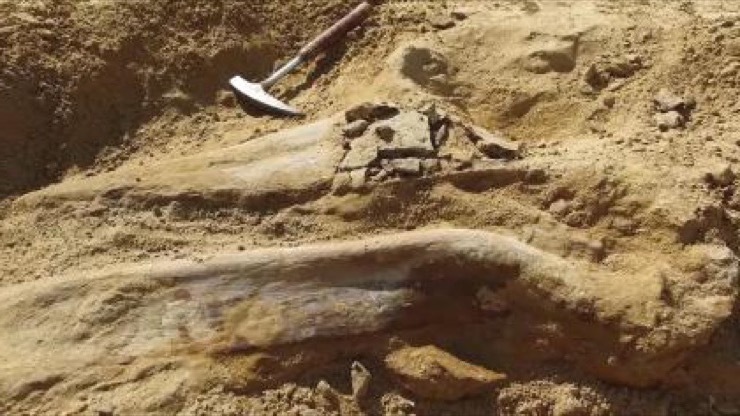 He believes that the fact that they noticed this was a fossil is a pure miracle in itself. 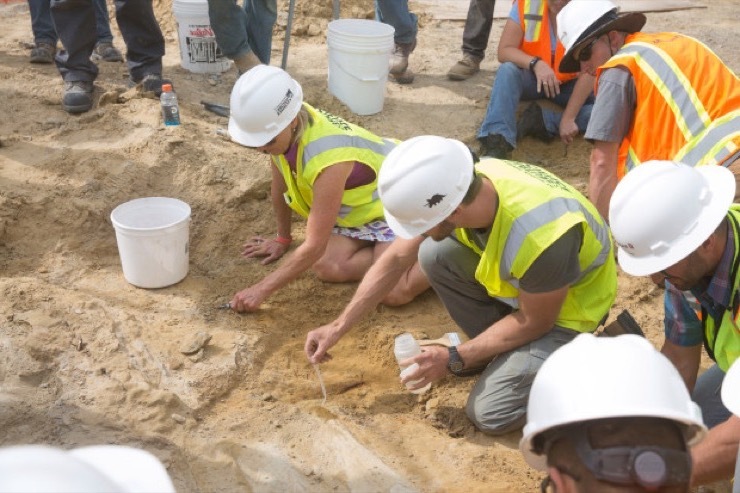 “They [construction crews] are really the heroes of a dig like this.” Triceratops were some of the most common dinosaurs in the American West during the time that dinosaurs roamed the earth. 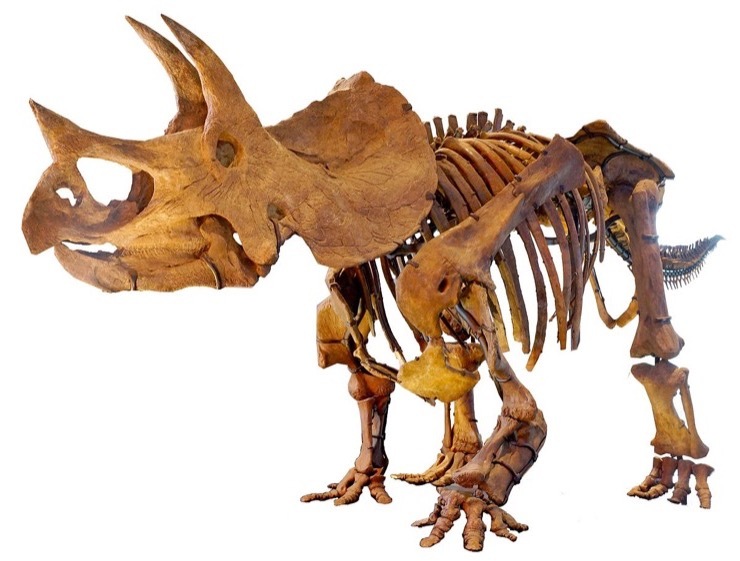 So how old was this triceratops fossil known to be? The fossil is estimated to be around 66-million-years-old! 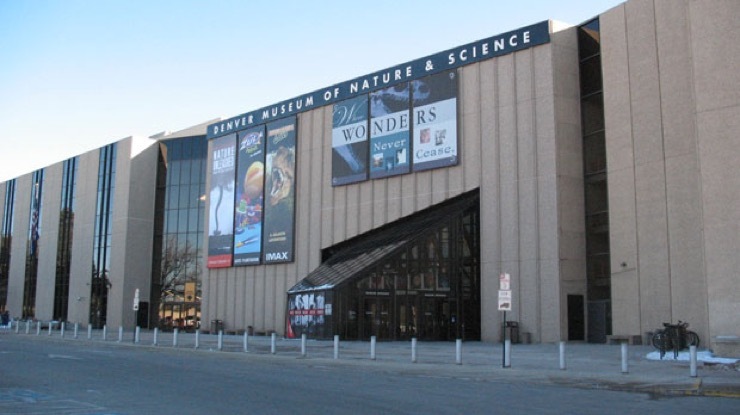 At the time, the dinosaurs in the Denver area were smaller than those found in Montana, North Dakota, South Dakota, and Wyoming. Scientists don’t have a definitive answer as to why this is. How Does A Triceratops Look? How Did It Remain In The Soil? 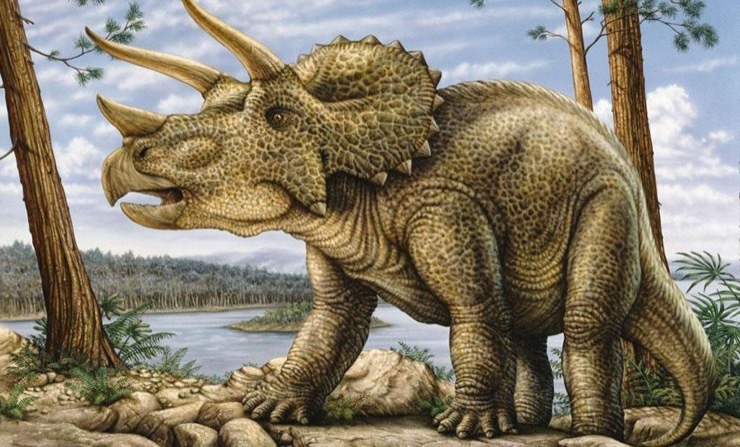 It’s likely the Thornton triceratops was a young adult and that it died on a dry land surface, which fell apart over time in a way similar to a cow laying in a field. Additionally, other feeding animals may have scattered its parts. How Were The Bones Kept Together? 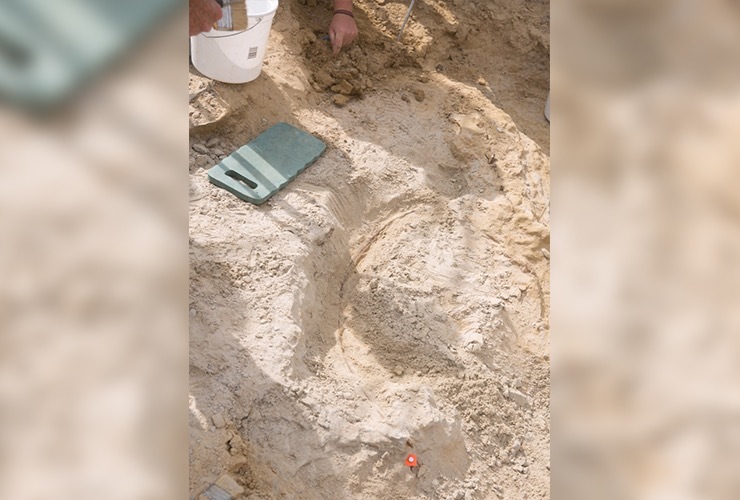 Paul Murphy, the paleontologist with Paleo Solutions who first confirmed the fossils were dinosaur bones, said there are many factors involved with fossil preservation. It’s actually a difficult process. 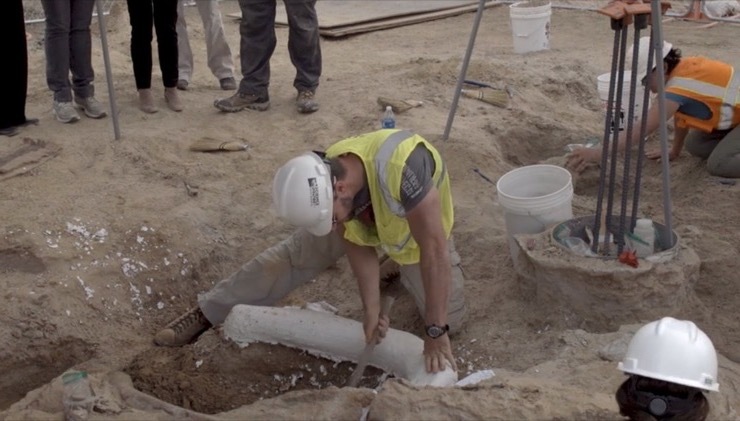 The bones could have been weathered by elements or scavenged and they need to be buried in sediment. Then, while all the bones are in there, all sorts of chemical processes need to occur. But, one question remains. 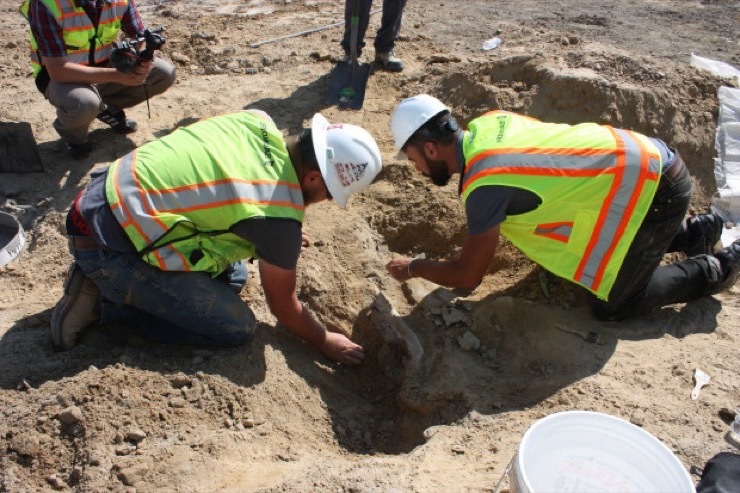 Why does Colorado naturally have a lot of fossils? What makes them so common there? 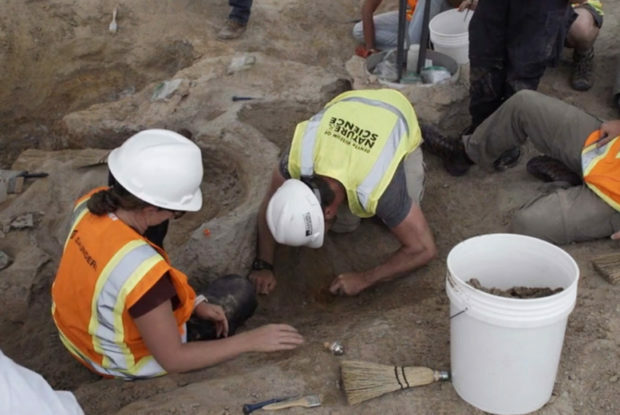 The reason for this is that the soil in Denver is particularly acidic, however, it is still difficult to preserve bones. 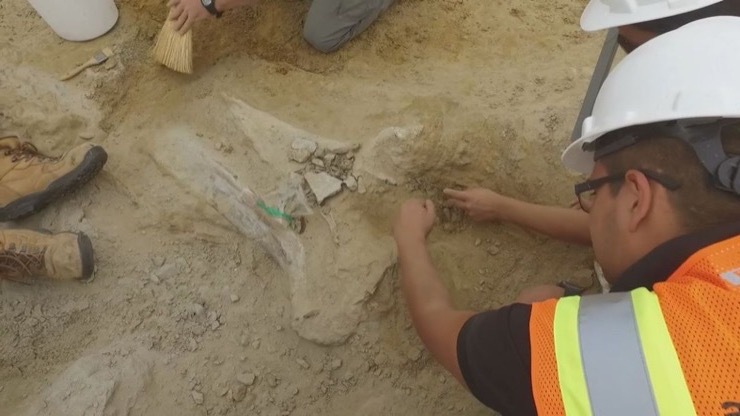 Even after 150 years of fossil collecting in Colorado, just like this triceratops one, fossil discoveries continue to be made. 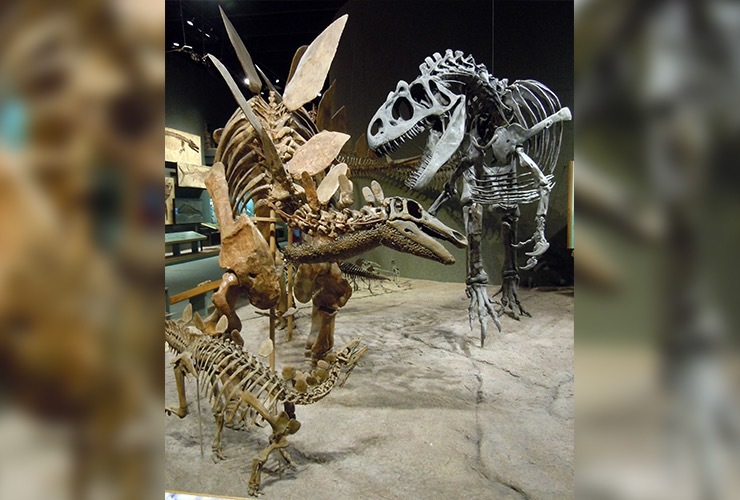 In the past 30 years, scientists have found the world’s first articulated Stegosaurus skeleton, three of the world’s four largest dinosaurs, and the largest dinosaur trackway in North America. In 2010, a treasure trove of ice-age mammals and plants were discovered above Snowmass Village, and these are just to name a few. 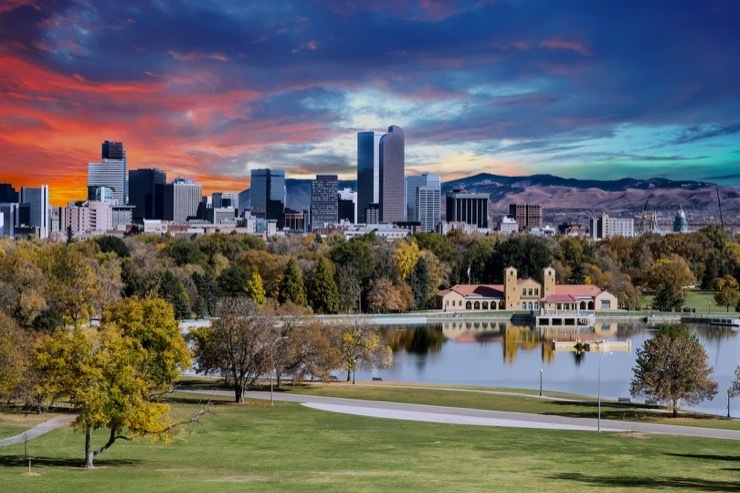 We’re glad Denver can add the Thornton triceratops to the list.